Some Kinds by Tanaya Harper is a beautiful rumination comprised of stripped-back guitar tracks and harmonies that has been constructed gracefully. The Bells Rapids singer writes intimate, abstract songs reflecting on life with bipolar disorder. The EP’s standout track is The Well, which encapsulates small aspects of life with mental illness, demonstrated in lyrics such as “Been feeling nothing when everything’s so good… I know I’ve been missing out on what it’s all about, but I know that I’m not alone in this well”. These are feelings that undoubtedly many people can relate to. The single Graceless is also particularly lovely, beginning the EP with a perfect moment of sweet, swaying harmony. 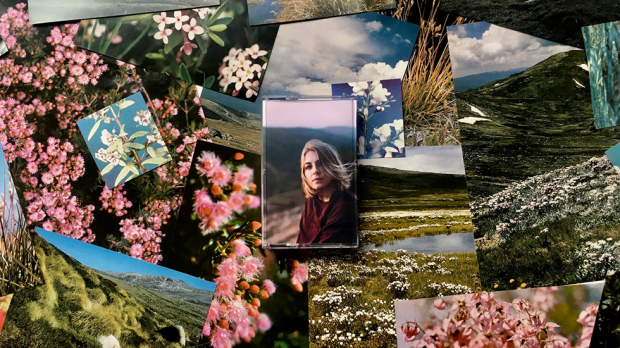 All the visual components accompanying this release have been so sweet and complimentary the EP, featuring analogue photos of wildflowers, photography from Rachel Claire, a music video for The Well made by by George Foster and event collages by Effie Windberg. These elements along with the two intimate launch nights at Rhubarb Records, and the way in which the Healthy Tapes label operates, have made for a beautiful and sophisticated introduction to these songs for local audiences. It is clear a lot of thought and care has been taken in putting together this little gift for our ears.